To enter the Kyoto Protocol into force at least 55 parties need to agree to the Framework Convention on Climate Change, which together caused at least 55 percent of the CO2 emissions produced by industrial countries in 1990, had to ratify the Protocol. The Kyoto Protocol entered into force after Russia - responsible for around 16 percent of said emissions - had ratified it. The 1997 Climate Change Conference in Kyoto did not set out any details concerning the implementation of the Protocol. These details were clarified during subsequent climate conferences. The conference in Marrakesh in 2001 (COP) played a crucial role in this context. The Marrakesh Accords contain detailed decisions on the use of the Kyoto mechanisms, crediting carbon sinks and promoting climate action in developing countries. By ratifying the Kyoto Protocol, the industrialised countries made a binding commitment to reduce their emissions of the six most important greenhouse gases including carbon dioxide (CO2), methane (CH4) and nitrous oxide (N2O, laughing gas) between 2008 and 2012 by at least 5 percent compared to 1990 levels. The Protocol laid down different levels for the various countries. In addition to saving their domestic emissions, a number of flexible instruments, the “Kyoto Mechanisms”, were available to parties for achieving the targets. The Kyoto Protocol allows forestry activities to be included in the CO2 balance to a certain extent, because forests, like soils and oceans, are important natural carbon sinks. Afforestation and similar measures can therefore contribute to climate action. In the Kyoto Protocol there are three mechanisms that serve to help developed countries achieve their Kyoto emission reduction targets by lowering the costs of reduction. The so-called Kyoto mechanisms or flexible mechanisms enable developed countries to meet part of their emission reduction commitments abroad. The most well-known of these three instruments is emissions trading. Emissions trading allows trade in emissions units between developed countries. This works as follows: Each country is assigned a certain amount of emissions units. The volume of emissions units allocated to each country is such that a country uses up its entire allocation if it precisely complies with its national emission reduction target. If a country achieves a greater reduction than called for in the Kyoto Protocol, it can sell excess emissions units in the form of licences to another country that has not succeeded in reaching its reduction target. The purchasing country can credit these licences to its own emission reduction. The licences are sold internationally to the highest bidder - in other words, the market determines the price. However, this regulation has a catch: if there is a wide supply of emissions units available, the price is very low. Developed countries will therefore tend to purchase emissions units instead of reducing their emissions domestically. This is particularly problematic because not every decrease in emissions is the result of effective climate protection policy. For example, Russia and Ukraine have long since exceeded their emission reduction targets, they are emitting 30-40% less CO2 than in 1990. However, this is due to the major economic crises they experienced in the 1990s rather than their climate protection policies. This is why these excess emissions units are referred to as "hot air". If other developed countries now purchase these emissions units rather than implementing their own climate protection measures, this poses a threat to the positive impact of the Kyoto Protocol on the climate and also hinders effective investments and innovations for a more climate-friendly economy in developed countries. Projects carried out jointly by two developed countries that have both committed to an emission reduction target under the Kyoto Protocol fall within the scope of joint implementation. If a developed country carries out or finances a climate protection project in another developed country, it can credit the resulting emission reductions in the form of emission reduction units to its reduction target. The recipient country of course cannot credit these units. Joint implementation projects can contribute to emission reductions first being achieved where it is cheapest. The clean development mechanism works in a similar way to joint implementation; the main difference, however, is that CDM projects are jointly carried out by a developed country with a reduction commitment and a developing country without a reduction commitment. With CDM, a developed country carries out an emissions-saving climate protection project in a developing country, and these saved units - certified emission reductions - can be credited to the developed country's account. The goal of the CDM is not only, as with the first two mechanisms, to make emission reductions more cost effective. 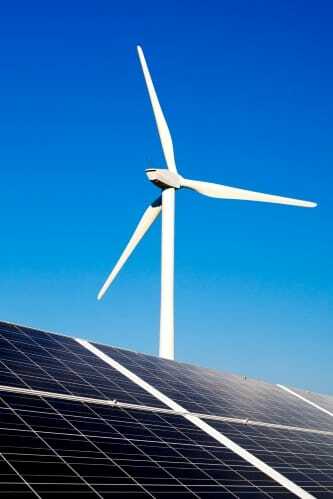 It also serves to assist developing countries, through technology transfer, in establishing a climate-friendly economy. The specific conditions of the CDM were laid down in the Marrakesh Accords. According to these, all CDM projects have to be reviewed and approved in advance. Furthermore, regulations were also laid down on the type of projects that may be considered for CDM: the construction of nuclear power plants is advised against, so-called sink projects, e.g. afforestation measures, may only be credited to a limited degree. The last two Kyoto mechanisms - CDM and Joint Implementation - are project-based mechanisms. • have calculated a national emissions budget and established a national data collection system for drawing up greenhouse gas inventories and for transactions of emissions units. One point of contention during many climate protection negotiations was the percentage of emission reductions that should be permitted through the Kyoto mechanisms, i.e. abroad. The Kyoto Protocol itself is rather vague on this: the use of the Kyoto mechanisms must be "additional" to national reduction measures. This formulation implies that no country may comply with its reduction commitments exclusively through the use of Kyoto mechanisms. The Parties were unable, however, to agree on a more precise regulation. The industrialised countries listed in Annex B to the Protocol committed to reducing their greenhouse gas emissions by at least 5 percent compared to 1990 emission levels during the first commitment period under the Kyoto Protocol (2008-2012). The European Union and its member states committed to reducing their emissions by 8 percent compared to 1990 levels for the same period. This overall target was split up between the then 15 member states through burden sharing. Germany committed to reduce its greenhouse gas emissions by 21 percent during this process. According to calculations by the European Environment Agency, total emissions of the 15 EU member states have decreased by an average 12.2 percent during the period from 2008 - 2012 compared to 1990 levels. This means that the EU clearly exceeded its 8 percent target. Germany also exceeded the target it was set. Compared to 1990 levels, Germany reduced its emissions between 2008 - 2012 by an average of 23.6 percent. The global trend, however, looks very different: up to 2010 global greenhouse gas emissions had risen by around 24 percent compared with 1990 levels. In addition to some of the industrialised countries, rapidly developing newly industrialising countries such as China and India are particularly responsible for this as they have increasing problems managing the CO2 emissions of their booming economies. After several years of negotiations, at the Climate Change Conference in Doha, Qatar (COP 18/CMP 8), the Parties agreed to extend the Kyoto Protocol until 2020. There, the Annex B countries committed to reducing their emissions by 2020 by 18 percent compared to 1990 levels. The European Union committed to a 20 percent reduction. From 2020, an international climate agreement is to enter into force that contains binding emission reductions for all countries. • As there is no doubt that the emission reduction targets for the second commitment period are not sufficient, the parties agreed on an Ambition Mechanism, which allows for more stringent emission reduction targets during the commitment period without going through the lengthy process of amending the agreement. An industrialised country may propose more stringent targets for its emissions which will enter into force automatically once they have been adopted by the Conference of the Parties. • An amendment to Article 3.7 of the Kyoto Protocol also ensures that the generation of a new excess of emission allowances will be limited during the second commitment period. Emission allowances will be automatically deleted if the emission budget of the second commitment period exceeds the average emissions of the first three years of the first commitment period (2008-2010) multiplied by eight. • In addition to this, surplus emission allowances from the first commitment period will be transferred to a Previous Period Surplus Reserve (PPSR) which Annex B countries can only make use of if they miss their target of the second commitment period. This is to ensure that at the end of the second commitment period surplus emissions allowances from the first commitment period will not automatically be transferred to a (highly unlikely) third commitment period or follow-up agreement. 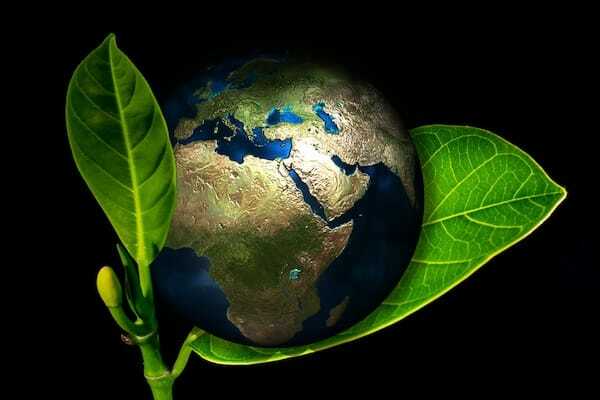 • New Zealand, Japan and Russia decided against participating in the second commitment period under the Kyoto Protocol. Thus, the CO2 emissions of participating countries do not even cover 15 percent of global emissions.